Nursery & Garden Industry Australia (NGIA), the Australian national peak industry body for nursery production, owns and administers the Nursery Production Farm Management System (Nursery Production FMS) including the programs within the system and the operating guidelines for formal accreditation and certification of production nurseries, greenlife markets and growing media manufacturers. 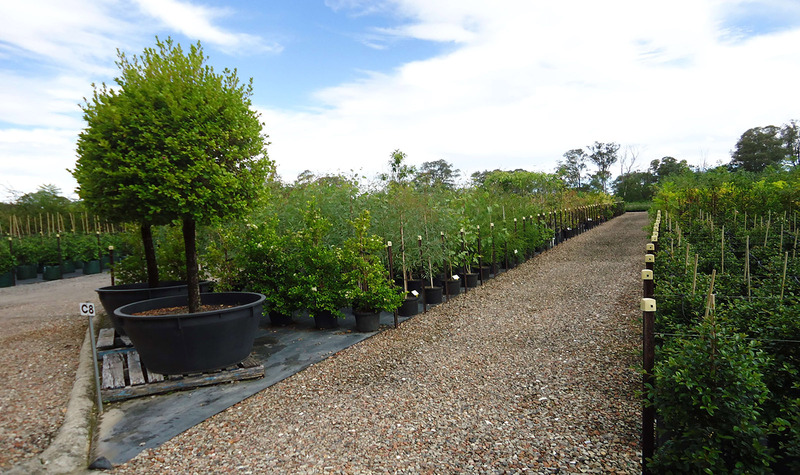 NGIA works in partnership with state/territory Nursery & Garden Industry (NGI’s) bodies to deliver the Nursery Production FMS services to growers across Australia. The Australian nursery industry invests approximately $2 million annually into research and development projects and programs via the Nursery Products Levy administered by Horticulture Innovation Australia Ltd. A major aim of this investment is to provide industry with the most up to date technical information across key production areas including irrigation, growing media, biosecurity including pests, diseases & weeds, pesticides, environment, energy and cropping system design and development. This investment has delivered world class results and identified many areas that growers can improve their cropping system, adopt new technology and techniques and implement change at a business level. NGIA has gathered together in one location a great amount of this information and has made it available to industry via this website under the tabs ‘TECHNICAL INFORMATION’ and ‘RESEARCH REPORTS’ on the ‘Home’ page. NGIA is building a portfolio of on-line learning courses that are subject specific and tailored for easy access and flexible learning to suit the needs of industry whether they be business owners, managers, supervisors or staff. The courses cover areas under best management practice through to BioSecure HACCP compliance training essential to utilising the program for intra and interstate market access. This website offers the entry into the eLearning portal for industry via the ‘ELEARNING’ tab on the ‘Home’ page. The Nursery Production FMS is the industry developed on-farm system for production nurseries that encompasses Best Management Practice, Biosecurity, Environmental and Natural Resource Management. Each program offers an audited formal accreditation and/or certification process that evaluates a participating business against documented compliance criteria. There are three programs that form the Nursery Production FMS and include the Nursery Industry Accreditation Scheme, Australia (NIASA) Best Management Practice, the environmental and natural resource management system EcoHort and the on-farm biosecurity program BioSecure HACCP. The resources for each program can be accessed via the relevant tab on the ‘Home’ page. Any Australian production nursery, greenlife market or growing media manufacturer may purchase a copy of any one or all three program guidelines and implement the specific criteria within each program and apply to NGIA for formal accreditation or certification. A number of state NGI’s have technical support that may be accessed, either as a fee for service or as a member benefit, to assist growers in the implementation of the programs (NIASA & EcoHort) within the Nursery Production FMS. Contact details for the various NGI’s can be found under the ‘TECHNICAL PROVIDERS’ tab on the ‘Home’ page. NOTE: Please contact NGIA for all queries and assistance relevant to BioSecure HACCP.